Legacy Mortgage Solutions Limited would like to invite anyone in need of mortgage or protection guidance, to a new, free and impartial financial advice surgery, that we've named "Meet the Expert". 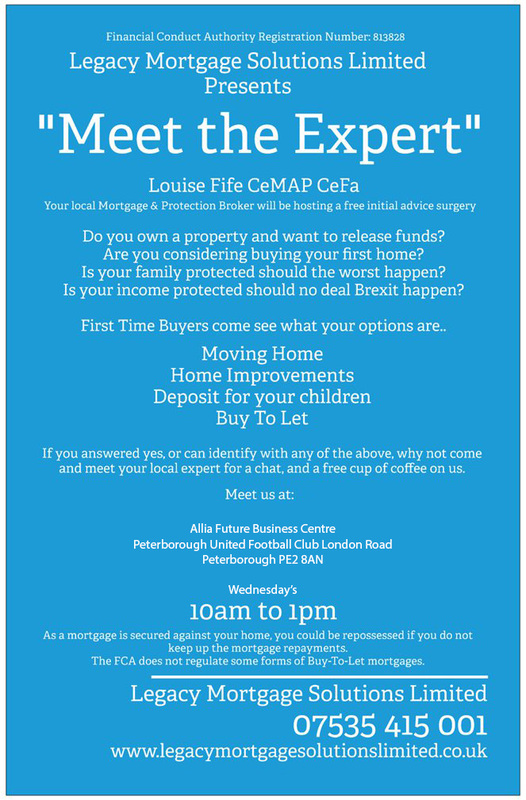 Here you'll find all the info you need with regard to buying property, or reviewing your mortgage needs, alongside a free protection review, to see if you have a plan B - should worst happen..
Find us at the Allia Future Business Centre, Wednesday's, from 10am till 1pm. Come along... and join us for a free to join us for a free coffee and a chat.